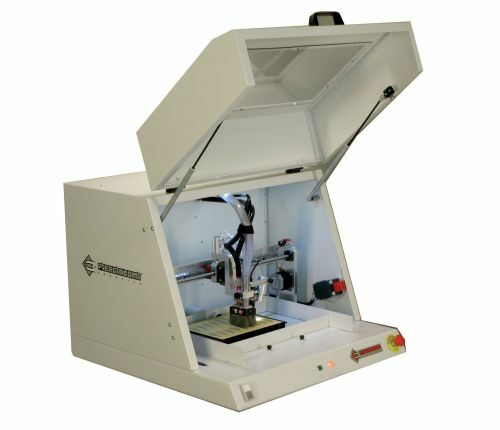 SMA10 is a machine designed to separate Printed Circuit Boards previously scored. 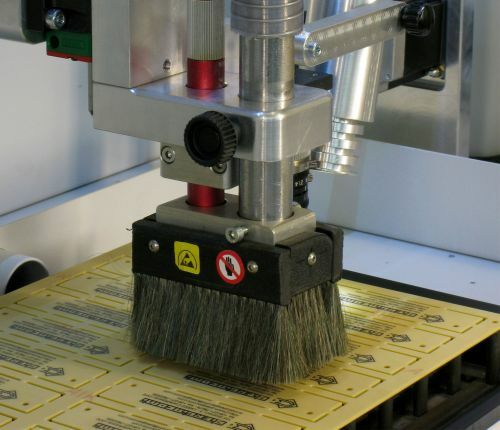 It works either on traditional materials like CEM1 and FR4 as well as on Aluminium substrates (MCPCB). 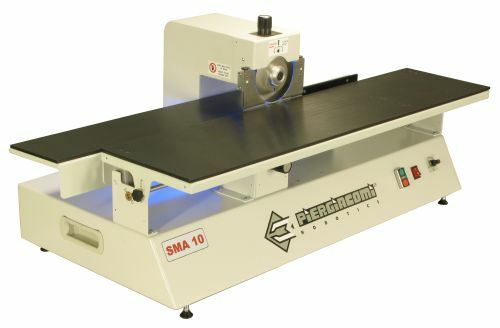 Thanks to its unique design , SMA10 can depanel both short and long boards bare or populated. In this last case the maximum component heigth is 32 mm. The alignement system allows three degrees of regulation. The first regulation is the heigth of the reference plan in relation to the cutting tool. This is achieved by a scaled knob. Then a sharp guide allows to easily position the scored line aligned with the cutting tool and finally a mechanical reference assures the correct positioning of the panel. The sharp guide can be easily adjusted to compensate different scoring depth. After the separation, the separated panel remains on a different plane also adjustable in height to allow a good positioning even in case of panels with components on both sides. The cutting tools have a diameter of 125 mm and the lower tool is motorized with controlled speed adjustable from 0 to 100 rpm. The upper tool can be controlled in height, thus controlling the distance from the lower tool and adapt to different material thicknesses. 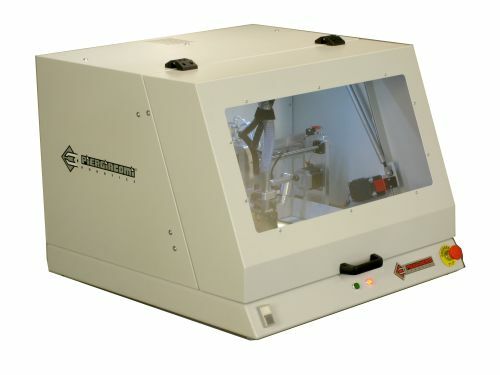 DPA100 is a semi-automatic depaneling system. 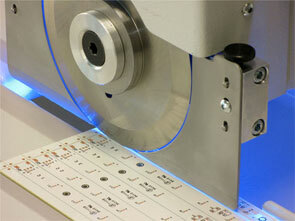 Using a vertical milling cutter this system allows to cut isthmus in any direction, following linear or circular lines. DPA100 functioning is performed by a Personal Computer which manages: PLC which manages machine's digital input and output spindle positioning control system an high resolution USB camera for the self learing of jobs and other activities PC works on Microsoft Windows XP (or higher) using therefore and user friendly interface. DPA100 allows to pass to a new job in a quick and easy thanks to the simple self learning software.